Postage stamp No. 7 from a sheet of ten motifs by Pop Art artist James F. Gill. 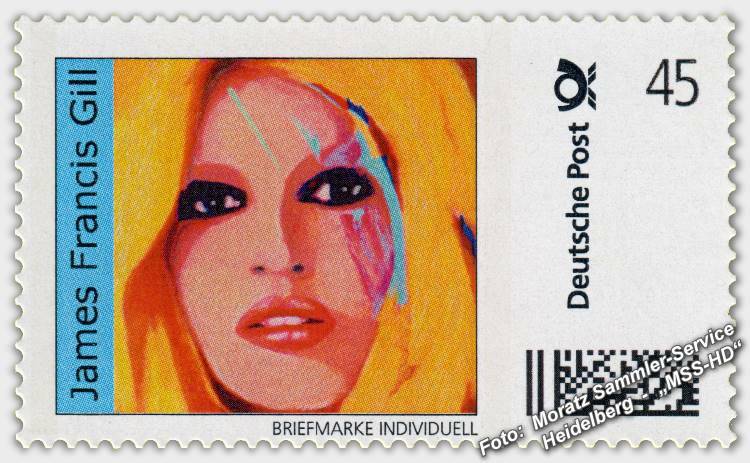 Original postage stamp from German Post (Deutsche Post), "BRIEFMARKEN INDIVIDUELL". 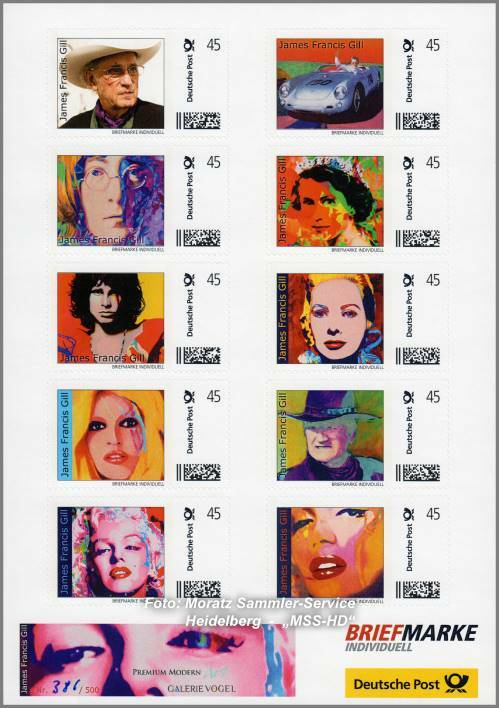 The stamp comes from the sheet of ten different self-adhesive stamps, one with a portrait of James Francis Gill and nine with artworks by the world famous Pop Art artist. Vernissage and exhibition of the works of James Francis Gill at the 'Galerie Vogel' in Heidelberg, Germany, in April / May 2019. The postage stamp is valid for postage within Germany, as stipulated by 'Deutsche Post'. The total circulation of the sheet and thus of each stamp is 500 (five hundred) pieces. For James F. Gill these are the first stamps ever.